A couple of weeks ago now I shared my 40 before 40 quest and things have started off pretty well. I have read three books out of the 40 I am aiming for ( The Bell Jar, Handmaids Tale and Fault in our Stars) and although I didn’t have a surfing lesson in Australia on holiday I did take a step towards that and tried body boarding on the beach at Surfers Paradise. 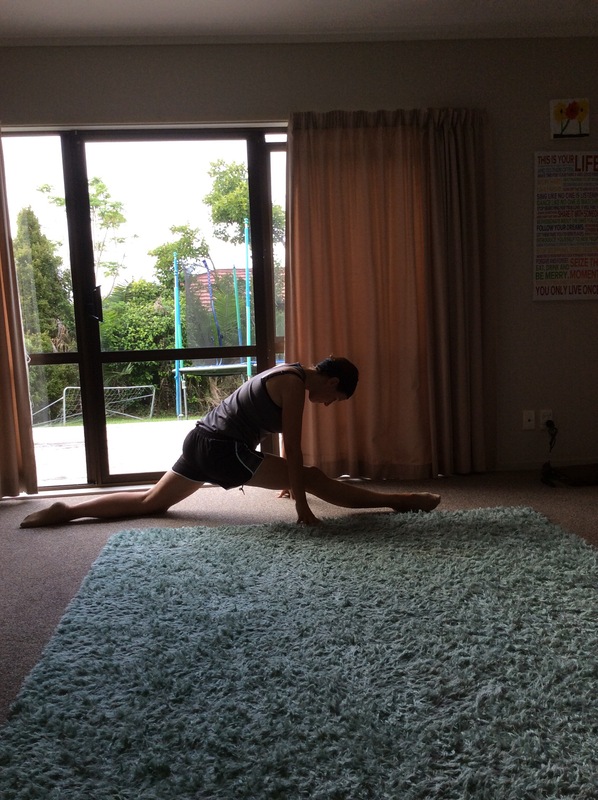 The first item on my list is to be able to do the splits and today I finally remembered to ask Lucy to take a picture of the progress I have made and so here is an image of me during splits practice this evening. There is still some way to go but I haven’t been this close in a really long time so I’m feeling pretty happy. It was my birthday yesterday (I turned 39) so that means I have 364 days to make it all the way down into the splits!